WANT THE ADVENTURE OF A LIFETIME? LET US HELP YOU FIND THE RIGHT BOAT. 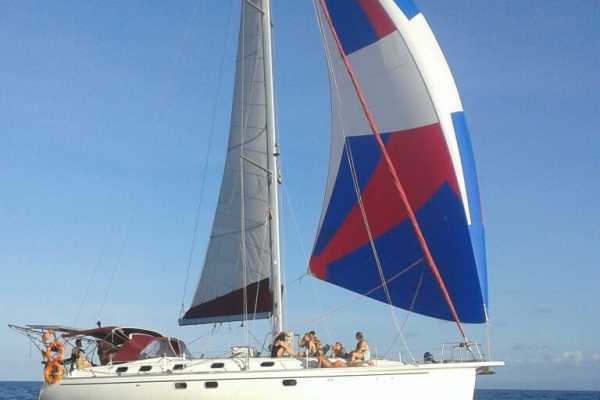 5 day/ 4 night sailing trip from the breathtakingly beautiful islands of San Blas, Panama to Cartagena, Colombia. 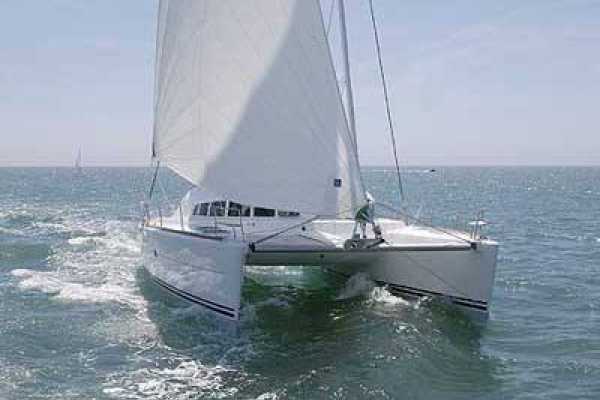 ABOUT THE BOAT Catamaran 360 is a 43 foot Catamaran. 12 passengers but they take a maximum of 10 guests so they can accomodate guests and the two crew comfortably. 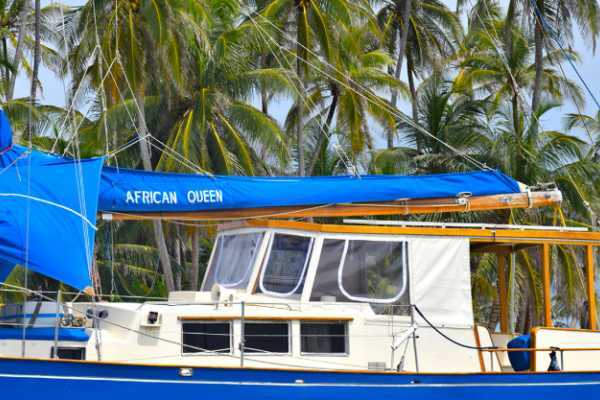 On board are snorkeling gear, a dinghy, fishing equipment a big fridge for the guests, a fresh water shower and two bathrooms with electric toilets. There are three private cabins with double beds, and one private cabin with two bunks. In the salon there is an additional double bed. 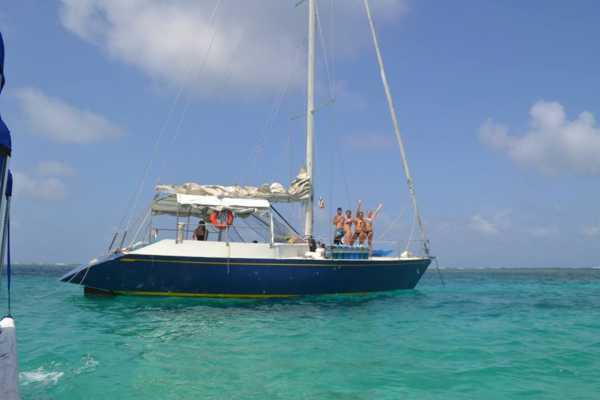 The boat has two bathrooms, a large kitchen and all of the safety equipment Necessary so you can relax on your journey. There is a great stereo, snorkel gear for the passengers and rods and reels for fishing. ABOUT THE TRIP 5 days, 4 nights. 3 meals per day Tea, coffee, and water, ice. 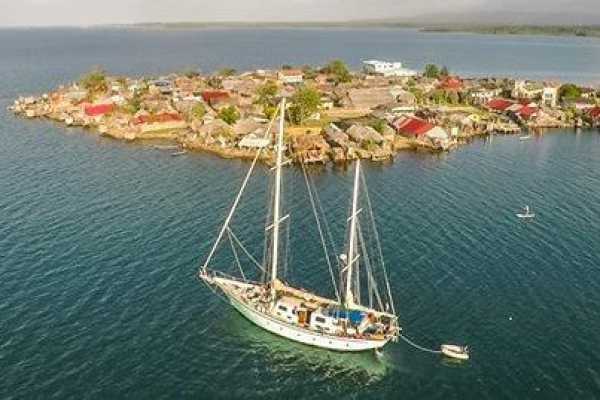 3 days between the islands of San Blas- every night a different anchorage. 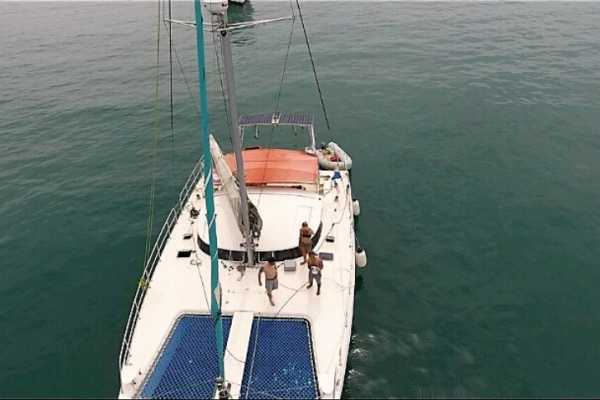 2 days on the open sea to Cartagena. THE DEPARTURE POINTS & ARRIVAL LOCATIONS Departs from Puerto Lindo The boat arrives at the public marina in Cartagena, Colombia. 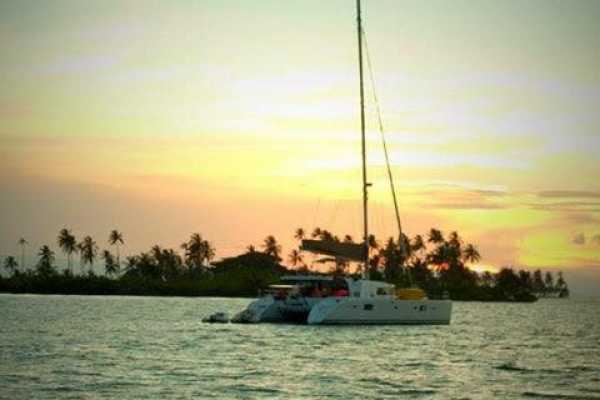 COSTS $550 per guest for the 1 way boat trip from its the starting point in the San Blas islands. $50 of this must be paid as a deposit to reserve the trip. $22 Guna territory entrance fee. $30 ground transport from the port of Cart, San Blas to Panama City, Panama. $$20 (approximately) local motor boat to the sailboat anchorage in San Blas islands from the port of Carti. HOW TO RESERVE A SPOT Please check availability with us before booking by clicking the INQUIRY button. To make a reservation click BOOK NOW and make a deposit payment of $50 online. The balance must be paid in cash to the captain when you get on the boat. Once a reservation is made we will send a receipt with a ticket and must read info via email. If the available dates or boats do not work for you, consider going round-trip to the San Blas islands from Panama City then flying to Colombia. Often reasonable flight prices can be found on Viva Colombia or Wingo. 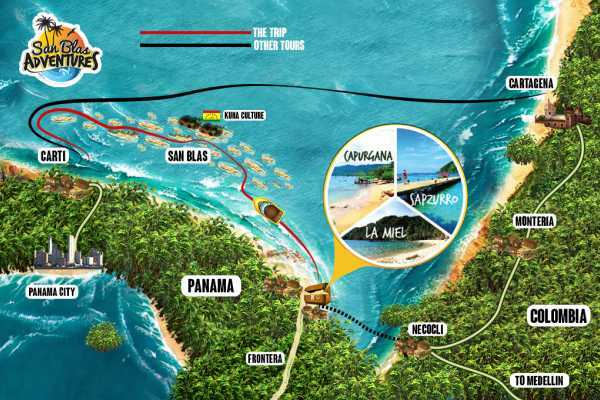 And we offer many round-trip options to the islands from Panama City. 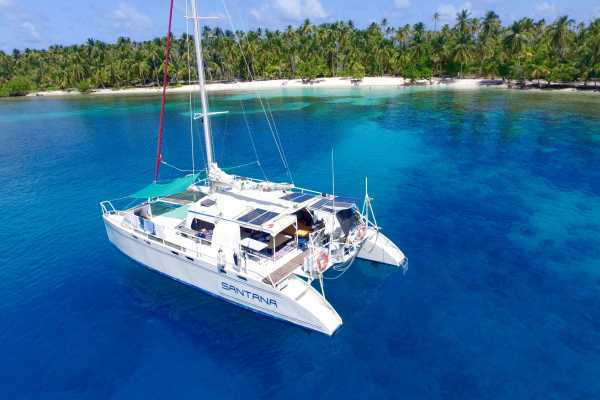 San Blas Cat is one of the biggest catamaran operating in the San Blas islands traveling form Panama to Colombia and back. 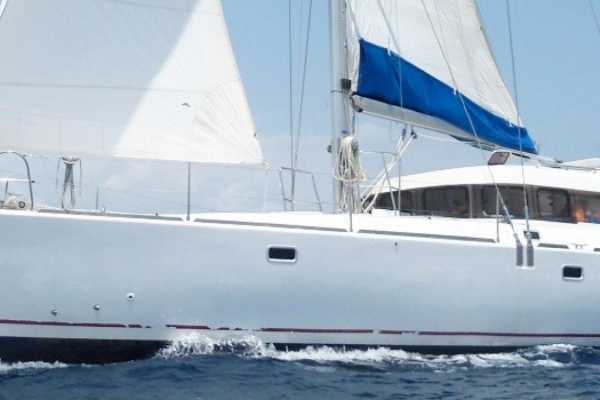 Boat Description 6,5m x 8,2m (56’ x 27’) , sleeps up to 18 guests plus crew. 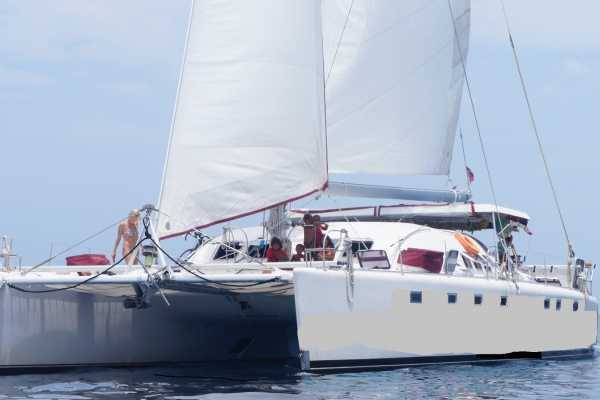 2 private double cabins, 1 Cabin x 2 doubles, 4 berths in the saloon, 2 double bunks, 2 single bunks. 2 Showers (everybody can freshwater shower every day). 2 toilets. 110 m2 deck space, 2 trampolines. 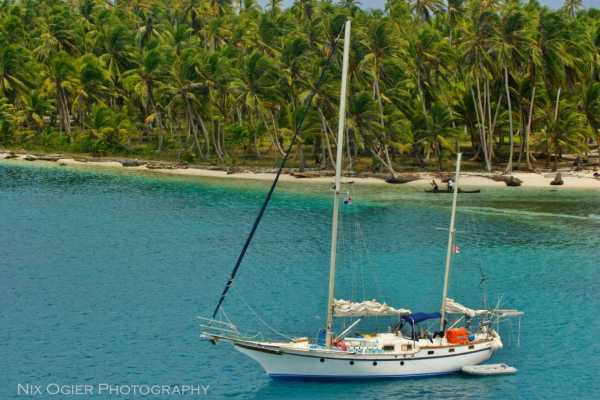 Schedule & Route 4 Days, 3 nights - We go thru the San Blas islands, following the coast closely, the coast closely. 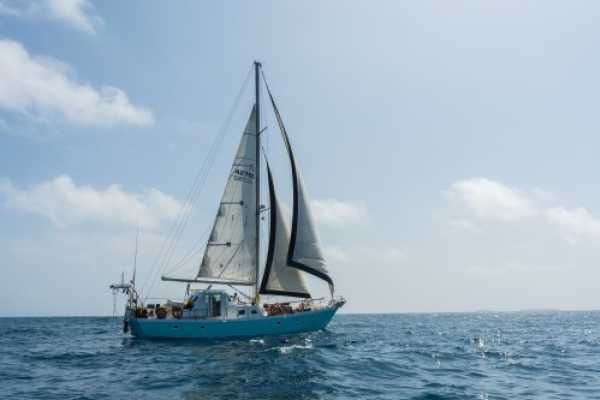 60% of the time we sail behind sheltering reefs and islands on calm waters. Approximately 3 hours each day of time off the boat and on the beach. 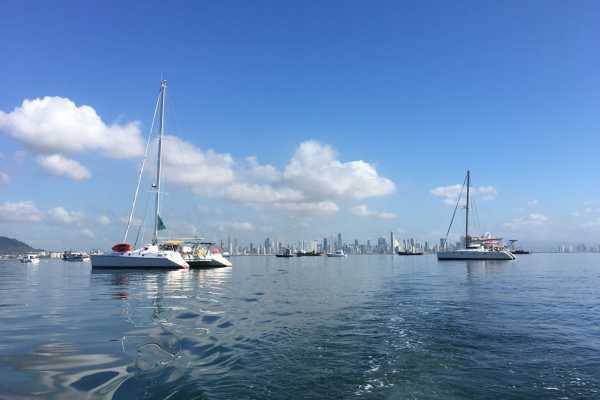 Since 2008 we have sailed the Panamanian shores and appreciated the clear waters and unspoiled reefs with their rich under water life. 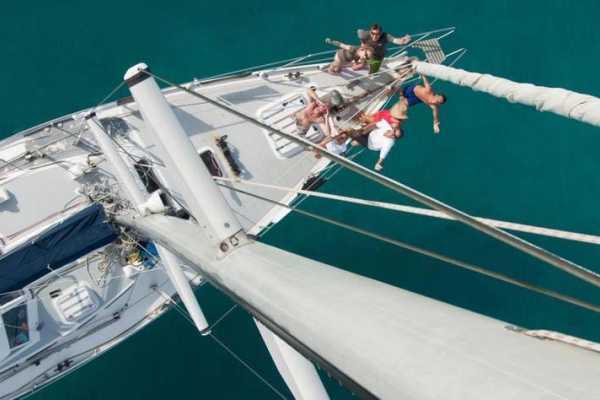 In this time we have seen mantas, hammerheads, whale sharks, nurse sharks and all types of reef sharks as well as sting rays, eagle rays, sometimes in large groups. Sharks in this area are shy and not aggressive. Included 3 meals a day (plus lemonade, tea, coffee, water, Ice). A new anchorage spot every night a different anchorage. Shared cabin sleeping accommodations. Not included Transport to the boat’s starting point in Puerto Obaldia - Take a ferry (approx. 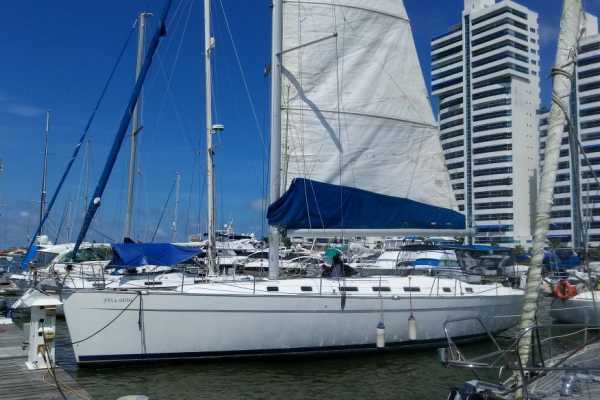 $30) to Capurgana.. Then take a motor boat (approx. $10) to Puerto Obaldia. Guna territory entrance and port taxes Alcohol. Bring your own alcoholic Drinks. We suggest bringing USB device with music. About the food Our diet on includes fish, crabs, and lobster sold by the local fishermen and caught by us, as we tow a 200 lbs. fishing line sometimes with success. But a fine sirloin steak or roast beef finds also its way on the plates on board. We cater to Vegan or Vegetarian diet as well if we have advanced notice of these dietary restrictions.